Soviet space dogs and rabbit. 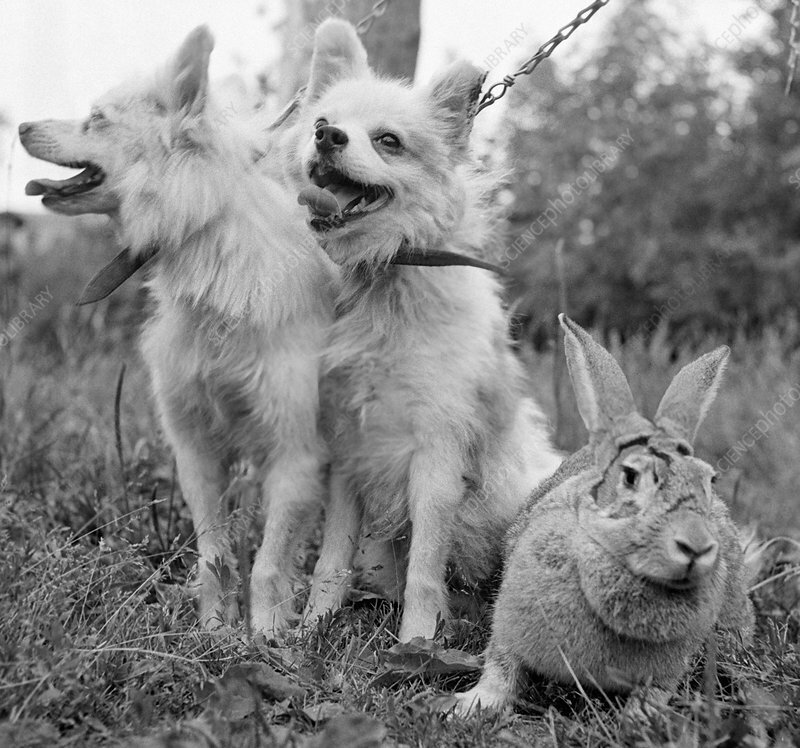 Soviet space dogs Otvazhnaya and Malek and Soviet space rabbit Zvezdochka, after their suborbital spaceflight of 15 June 1960. During the 1950s and 1960s, numerous suborbital and orbital spaceflights involving dogs were launched by the Soviet Union. All the dogs were female strays. Otvazhnaya made five suborbital spaceflights in 1959 and 1960. Malek made two suborbital spaceflights in 1960. Photographed in September 1960.